Ever feel a little icy and cold? 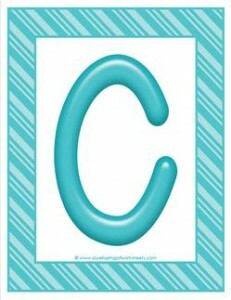 Hopefully these colorful letters uppercase C that are made of candy-like bright blue with a matching striped blue frame won’t make you feel that way. Please go to this page to see more stripes and candy uppercase letters. Digital frames and alphabet graphics Kylie Healey Designs.